I also got my book swap from Katie and it was awesome! 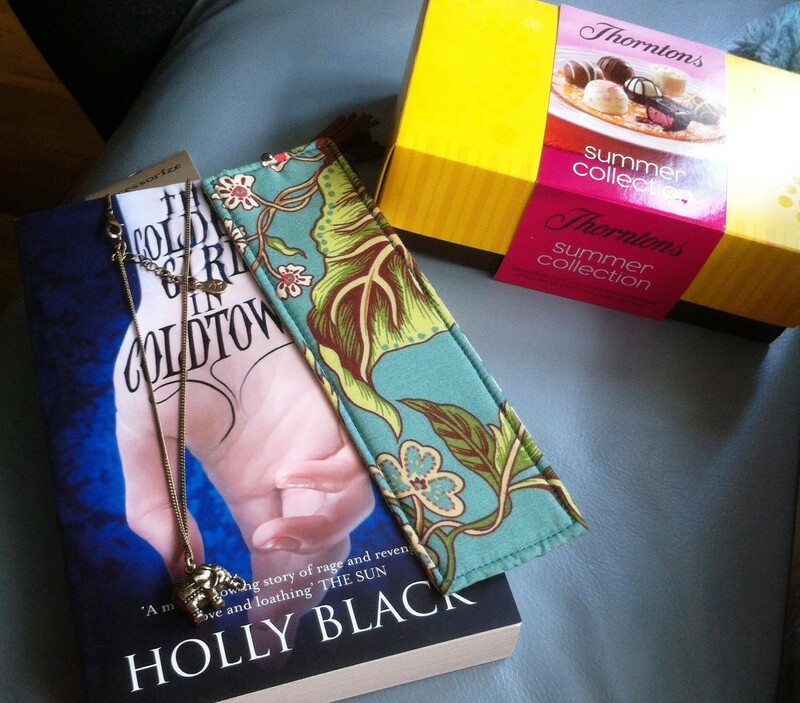 I got The Coldest Girl in Coldtown, a bookmark, some book badges (which I’d already pinned to something before taking this photo), Thorntons chocolates and an elephant necklace (which I plan to wear pretty much every day!). And, since it was my birthday this week and Matt’s still off on his project (nearly halfway) he sent me a little something to cheer me up….So now I have a porcupine and a sloth sitting on my bed and they make me smile every time I see them! So as you’ve probably noticed, I’ve been pretty much absent from blogging and twitter the last few weeks. The reason why is pretty simple – work has been awful! We’ve been in late a few nights, and just generally manic even when we leave on time, so I’ve just been coming home too tired to be productive (let alone coherent!). read 29 books toward her goal of 100 books.